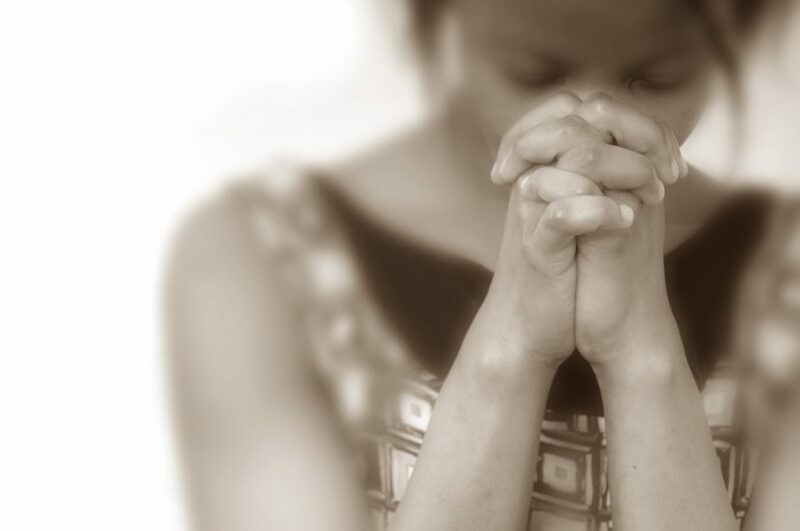 If you’re not sure how to pray or what to pray, you’re not alone. You don’t have to pray long, loud, eloquent prayers in a certain place or with a certain posture for it to be effective. Fervent prayer is sincere, heartfelt and focused prayer. When God prompts you to pray a simple one-sentence prayer, like “God, please help that person…” you probably don’t realize just how powerful it is. You’d be surprised by how many people I encounter while ministering, that claim they “don’t know how to pray ”. Some simply have doubts that God even hears their prayers. Others have stated that they don’t even know what to pray for. Whether you’re praying for guidance with a big decision or just praying a simple and quick “thank you”, God hears you. Just because God doesn’t answer your prayers when you feel like He should, doesn’t mean He’s not listening. Continue to pray, continue to trust and continue to have faith that God will never forsake you. He hears you and He will answer you. When we pray sincerely, praising God and seeking His glory, great things happen. Prayer must always come from the heart. Forgive me for overlooking Your power and trying to live in my own strength. I can’t do it. Praying for others is a privilege. I love praying for others in need. Did you know that when we pray for others, God remembers those prayers in our time of need? I come asking You to restore joy to ___________ who is struggling and being burdened with fear. Where there is sorrow and fear, I ask You to replace that sorrow and turn it into the oil of gladness. Thank You for Your promise to be near those who are brokenhearted and those crushed in spirit. In the name of Jesus, I ask these things so that You will be known. It’s okay to have goals, dreams, and want to be successful. BUT remember, God uses us to be a blessing to others. If you’re praying for a blessing with no intention of being a blessing to anyone else, Maybe that’s the reason you’re still waiting. As you continue to bless me, use me to be a blessing to others. Show me how to humble myself in your blessings and use them for a purpose greater than myself. Give me favor in whatever work You call me to do. This one took me a while to get. In the past, I would pray that God would bless me, just so I could make those who envied me envy me even more. But that is the wrong way to think when we approach God in prayer. God does not participate in foolery. So if you’re praying with hatred in your heart, I strongly suggest you pray about it. Don’t block your blessings! Help me to give my grievances to You so that You may turn them into something good. Make me ready to forgive completely and earnestly. Give me Your spirit of unity. God will only do the things which are consistent with His will. He exists to fulfill His purposes, not yours, not mine. Pray for His will in every circumstance. Everything that feels good to us, is not always good for us. This is why it’s so important to pray God’s will. Because sometimes we pray for things that are not good for us. As we pray to God, let’s be even more concerned with seeking His will than we are with receiving the answer we want. That’s where the grace and the strength come from. I bring to You my petitions, but I give to You my heart. While I plead for You to answer my prayers, I also submit to Your will so that my heart may be strengthened and Your work be done. I PRAY ONCE I GET TO THANK THE LORD FOR ANOTHER DAY THEN EVERY TIME I SEAT DOWM TO EAT AND WHEN I WALK OUT MY DOOR I PRAY MOSTLY ALL DAY. Once before bed There are times i jam out and sing Christian music. go or bad. Because in the end everybody and everything have to face HIM. I asked God for something a while back concerning my prayer life and he gave it to me. God is truly faithful and I find it so much more gratifying when it’s spiritual request. Samantha Jean Carroll I saw this and thought about our convo last night! This helped me and I thought it could help you too! Thank you Lord, for hearing me!! !